Nordic National Cinemas explores the film histories and cultures of Denmark, Finland, Iceland, Norway and Sweden. The authors examine each country's domestic film production, social and political context and domestic audiences from the beginning of this century to the twentieth century. 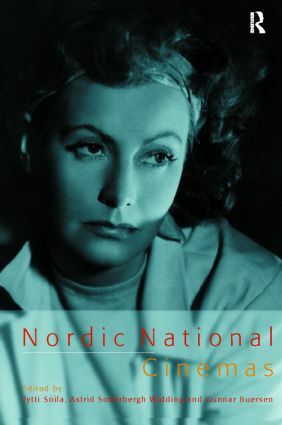 The authors not only explore the work of internationally renowned figures such as Mauritz Stiller, Victor Sjostrom, Carl Dreyer and Ingmar Bergman, directors of such classics as Vampyr, Ordet, Wild Strawberries and Cries and Whispers, but also nationally important film makers such as August Blom, Bodil Ipsen, Lau Lauritzen and Nils Malmros, they also discuss contemporary film makers including Gabriel Axel, director of Babette's Feast, the Kaurismaki brothers, directors of The Match Factory Girl and The Leningrad Cowboys and the recently acclaimed Lars von Trier, director of Breaking the Waves.